College enrollment is down but majors in the fields of science, technology, engineering, and math – the so-called STEM fields – are on the rise. The trend is unsurprising, as businesses have reported a shortage in qualified candidates for specialized jobs–spurring a response by elementary and high schools of emphasizing STEM in their curricula. This trend has accelerated since the financial crisis and Great Recession, when businesses suddenly downsized and recent graduates found they were unprepared for a harsh new job market that favored specific fields. A recent CareerBuilder study found degrees in science technologies and technical fields surged 49 percent between 2010 and 2014. Degrees in mathematics and statistics rose 35 percent over the same period. Computer sciences saw a 32 percent gain while there was a 26 percent increase in students pursuing engineering degrees. Degrees in the humanities, meanwhile, have subsequently waned. Emsi, a company focused on the student-to-employment path, recently reported that majors in the humanities declined by almost a half percent between 2010 and 2016 while STEM majors grew 43 percent. But other research suggests that favoring STEM degrees might not solve all of employers' workforce problems, and could even leave some gaps. A report by the World Economic Forum and LinkedIn notes that many of these STEM majors are highly specialized – maybe too specialized. While a specialized STEM field of study can prepare students for a specific job, these jobs can quickly change with technological advances. The study authors note that employers increasingly value the broad knowledge and critical thinking skills that the humanities can provide. Matt Ferguson, CEO of CareerBuilder, says it's encouraging to see the increased participation in STEM-related studies; at the same time, he's expressed concern over what he sees as a slowdown in overall degree completions tied to development of strong communications and critical-thinking skills. “Nearly half of employers say they currently have job vacancies but can't find skilled candidates to fill them,” Ferguson said at the time of the CareerBuilder study. “We need to do a better job informing students and workers about which fields are in demand and growing, and provide them with access to affordable education and training, so the journey to a high-skill job is an achievable one regardless of their socioeconomic situation." Meanwhile, employers are pointing out that not everyone needs a college degree. There is a growing need for personnel with skills in the building trades. A recent report by Klein Tools found that many older electricians are leaving the industry, citing the physical demands of the job. 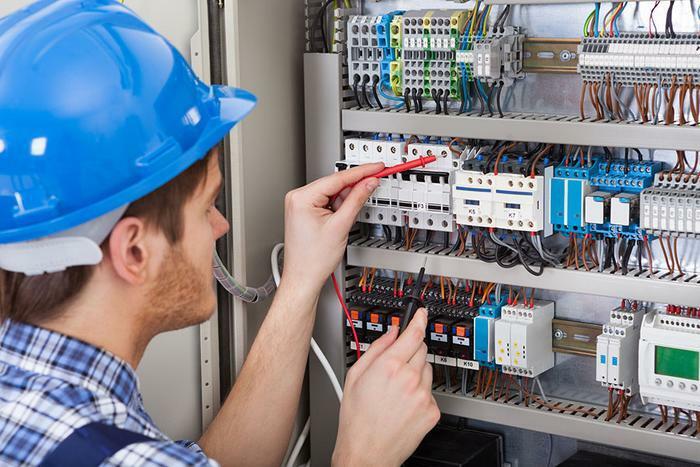 Meanwhile, not enough new electricians are taking up the trade, indicating there may be an electrician shortage in the next five to 10 years. To help revive interest in the vocational trades, California is investing millions of dollars to promote vocational education and to make it more accessible for interested students.